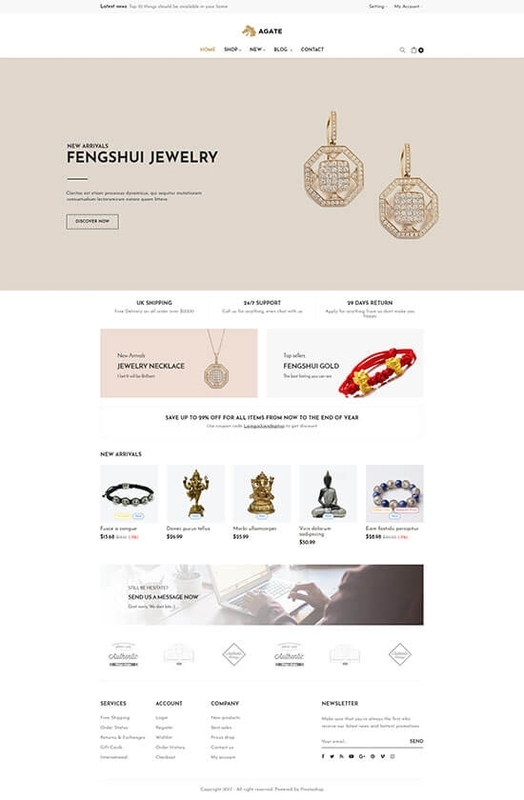 Continue with a Prestashop 1.7 theme in our multi-purpose Prestashop product series, Leo Theme rolls out Leo Agate Prestashop theme, which is designed for any-ecommerce store, especially suitable for jewelry store, fengshui accessory store, bracelet, necklace store. Leo Agate Prestashop theme is totally responsive so it’s absolutely adjustable, customizable, and nicely displayed on any devices like desktop, tablet, laptop, or mobile phone. Built in version 1.7.2.3, the latest version at the moment, Leo Agate Prestashop owns remarkable features that help Leo Agate stand out other Prestashop templates in older versions. The most striking and important feature of Leo Agate Prestashop theme is the release of Ajax Cart module. Two features namely Fly cart and Popup cart have been added, which makes the customer’s purchasing on your site more interesting and convenient. Your customers now can add product to cart, see the product’s information, remove the selection, etc handily. What is more, the powerful Megamenu module makes your site user-friendly as your products are easily navigated. The Product searching module in popup style is very simple and lightweigh. The Ap Pagebuilder module with 4 text blocks in which there are 4 service blocks and 1 product block with 5 products in a row. Besides, you can show the producer’s logo there. In the footer, there are 3 link blocks, which allows you to display multi links. Also, social module help to link your site with other social networking sites, broaden your site to potential customers. Furthermore, Leo Agate Prestashop theme has bright background and neat-layout. This professional and well-organized look will attract your customers at the first look. Moreover, the header with concise structure, combines two modules namely currency and language. The text in head permit you to lining out special even or your store’s message. Plus, the Slideshow module with full-width slide allows you to showcase the hot trend and approach customer immediately. Above are new and outstanding features of Leo Agate prestashop theme. 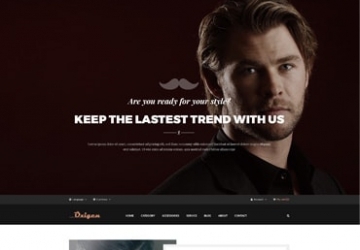 The typical features of a Prestashop 1.7 theme are still remained in this template. Let’s try out the demo to have further understanding. 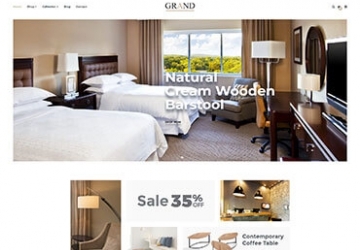 The Leo Agate Responsive Prestashop Theme for diversified commodities.